Gathering is an insanely common sewing task, especially if you are sewing with or for girls, right? Recently I hosted a sewing camp featuring “twirly skirts”, and I was stunned by how hard it was for kids to gather fabric. 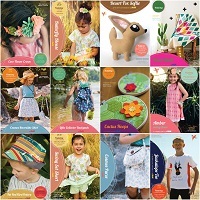 Clearly some things I have just forgotten after sewing for almost 50 years! I decided to figure out a way that kids could successfully gather fabric regardless of the kind of sewing machine or accessory feet they owned. And by George, I think I’ve got it! Lengthen stitch length as far as possible. Pull up both bobbin threads equally to gather. 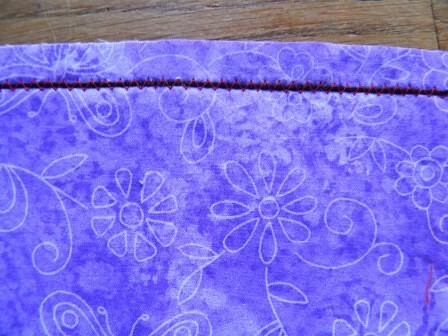 If necessary, do the same from the opposite end of the stitching. Bobbin threads pulled to start gathering the fabric. 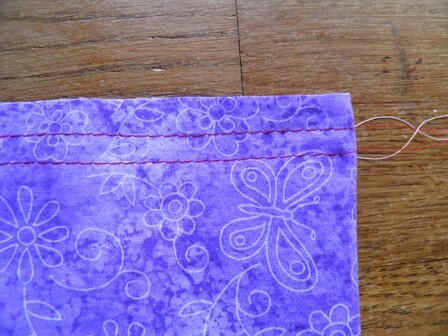 I think the pros of this first method are that it is quick to stitch, and no special equipment or stitch is required. The cons are that it is really only effective on lighter weight fabric and it is fairly easy for the threads to break when pulling on them. That breakage issue is really annoying, too, because you have to run a new row of long stitches. Not fun. 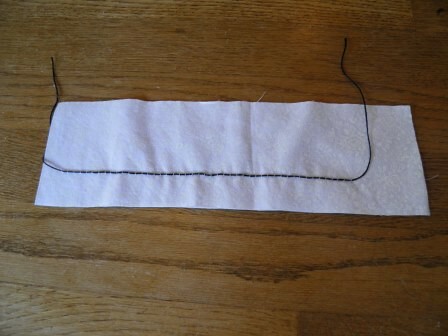 Set your stitch on a wide (4) and medium-long (3) zig-zag stitch. 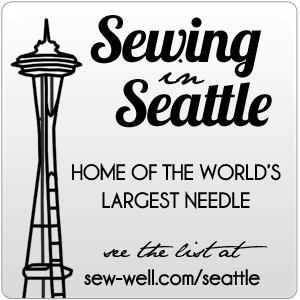 Place pearl cotton, sturdy yarn, or some other strong thread or cord under your presser foot. Zig-zag over the cord, taking care to not catch the cord in the stitches. 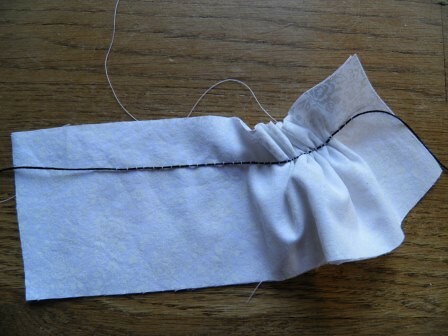 Pull the pearl cotton thread to gather the fabric. The red thread is normal poly, and the black is pearl cotton. The pearl cotton is pulled to gather the fabric. 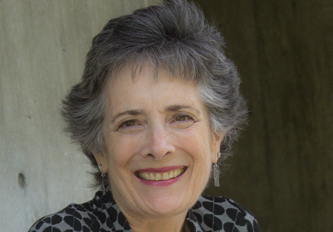 The pros of this method are that it is fairly easy to do, and virtually guarantees no thread breakage. The cons are you either must use a foot with a hole to thread the cording thru (not everyone has such a foot! 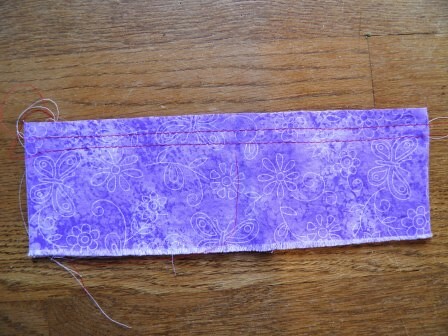 ), and it is pretty easy to catch the cording in the zig-zag stitch. I definitely cannot guarantee that all of my students will have a cording foot, and no way can an 8 year-old zig-zag over cording without catching the pearl cotton in the stitching!! So, here is my brilliant solution. Set stitch length as long as possible (max 5 or 6). Stitch 1 row of long straight stitching. 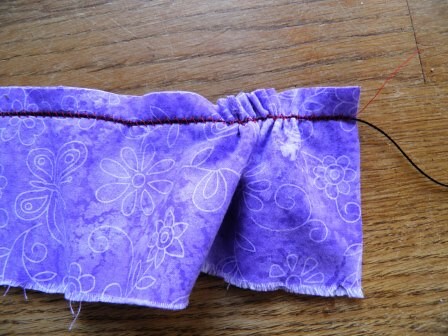 Pull bobbin thread (aka pearl cotton) to gather fabric. Black above is pearl cotton, and white is normal poly thread. Pull on the pearl cotton thread, and voila! 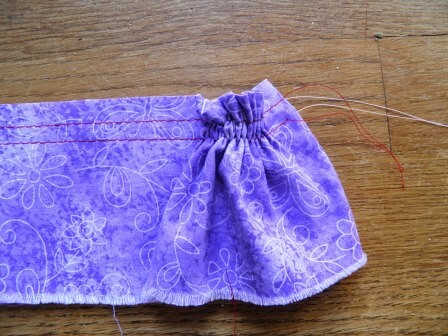 I tested this technique on an 8-year-old, and I sure wish I had thought it up before the Twirly Skirt Sew Camp. Ah well, next time! !